What is the Contemplative Cohort? The goal of the Spiritual Life is to live a contemplative life from the heart. Such a life requires that we take on disciplines and activities that we habitually return to and practice with our whole heart. These practices are chosen because they awaken, deepen and sustain within us the experience of intimate union with the Holy One. Such experiences allow us to feel that every moment of our lives is indeed a holy moment. It is from this place of spiritual or divine awareness that we are able to claim our status as “Beloved Sons and Daughters” of a loving God. In this Cohort we will study and practice many and varied spiritual disciplines. We will hold one another accountable in our practices, finding companionship and support along the way. We will discuss issues that are pertinent to spiritual growth and formation and we will use the wisdom of the enneagram to inform the ease or difficulties we might encounter in our personal spiritual growth. Between gatherings, Cohort members will be expected to complete homework (typically a book to read and a spiritual exercise to practice) and will be encouraged to stay in touch with other group members. The expectation of the Cohort is to learn from each other as each member of the group brings invaluable insights and experiences to enrich the community. How are members chosen, and what is the commitment? Diversity of age, vocation, gender, enneagram number, etc. Tuition for the LTM Contemplative Cohort is $2,000 a year (some scholarship funds are available.) As participants are expected to participate in every cohort gathering, any missed gatherings will not be prorated. Annual tuition is due by the first gathering. 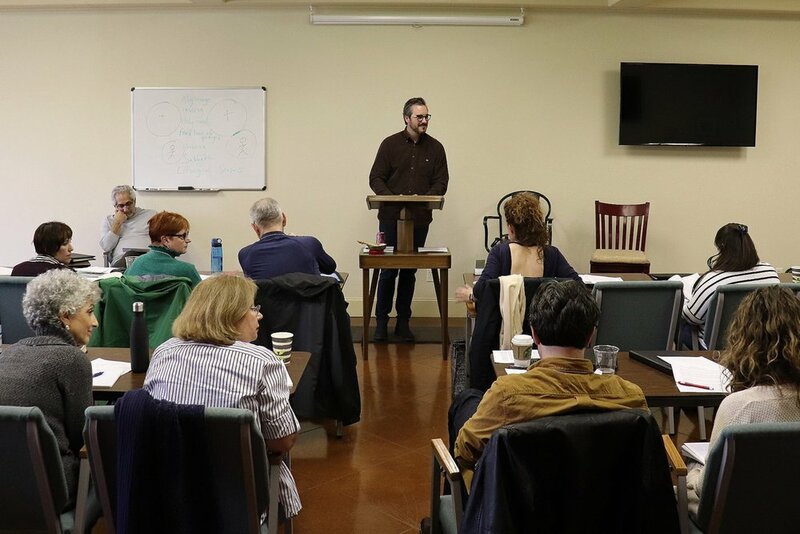 Before you apply, or if you have any further questions about the LTM Contemplative Cohort, please check out our Cohort FAQ Page. LTM holds fast to the idea that transformational experiences often come through authentic relationships with people who are not the same as ourselves. With that in mind, we are committed to creating Cohort classes with an intentional diversity of many factors. I have considered the dates of the 2020 Cohort. To the best of my knowledge right now, if accepted I would be able to commit to all four gatherings. All applicants will be contacted after the application deadline has passed (September 1).